FBF had the most liked content! Stage 3 or upgrade car? What sort of numbers went to this? I’d be keen...what sort of numbers? My long term average is 18 lol. Round Edinburgh I’m getting between 11 and 13. Back home after work 16-18. Motorway, which I rarely do, 34 if driving like my grandma. Wanted that along with the pano roof but it was just blowing my budget! PCP my good man. 4 year term. 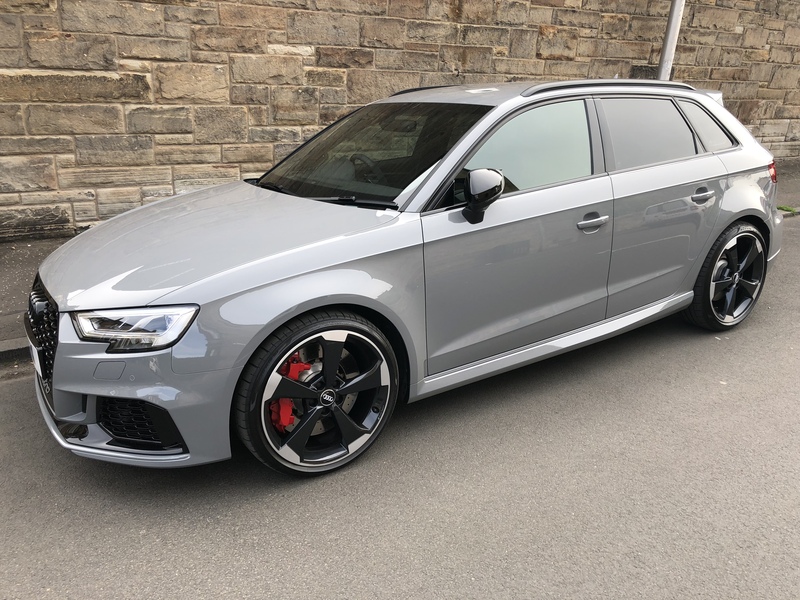 Gone for: Sportback Nardo Black Styling Pack Gloss black wheels Black roof rails Red calipers Super Sport seats Extended interior upholstery Hill hold Folding mirrors Sports Exhaust Will tint the windows prior to collection and fit some spacers perhaps.